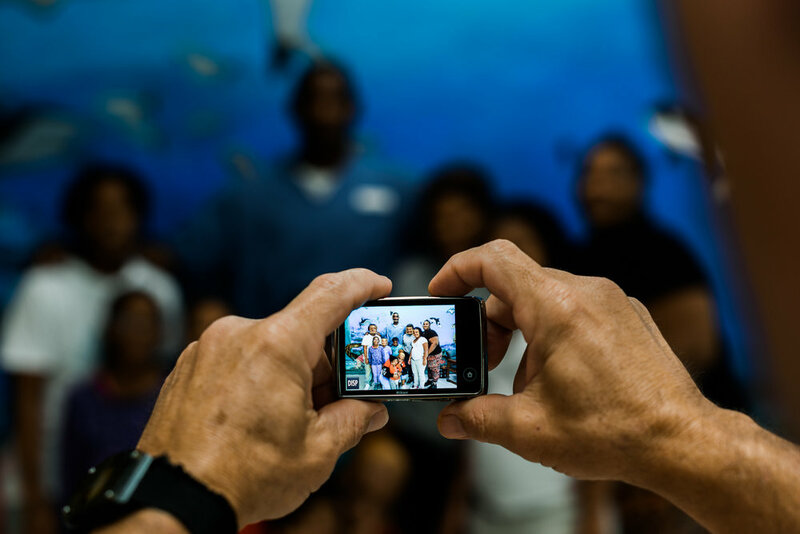 “Still My Mother, Still My Father” documents bonding meetings between children and their incarcerated mothers and fathers at twelve men’s and women’s prisons in the state of Florida. 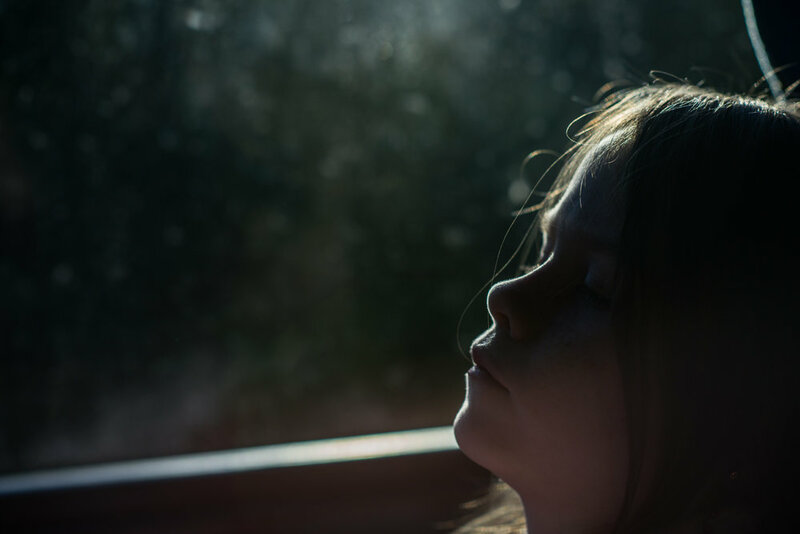 More than 2.7 million children in the U.S. have an incarcerated parent, and approximately 10 million children have experienced parental incarceration at some point in their lives. Nationally, there are more than 120,000 incarcerated mothers and 1.1 million incarcerated fathers who are parents of minor children. Documenting family bonding visits affords me the opportunity to not only tackle mass incarceration from a humanistic standpoint, but to also explore these experiences as escapes and temporarily fulfilled fantasies for both child and parent. Children of Inmates, an organization dedicated to bringing incarcerated families together, facilitates these unusual visits, where parents have intimate contact with their children through physical interaction, game-playing, singing and gift giving. This program greatly differs from conventional visits, as it is a bonding experience for both inmate and child. Parents perform their identities as mothers and fathers, as volunteers instruct them to get into full “mommy” or “daddy” mode. Isaiah, age eleven, sees his mom every three months, while Travis, age twelve, tearfully embraces his dad, who prays as he wraps his arms around son for the first time in seven years. Caleb, age 7, sits on the bus bound for Hernando Correctional Institution in Brooksville, Florida, where his mom is incarcerated. 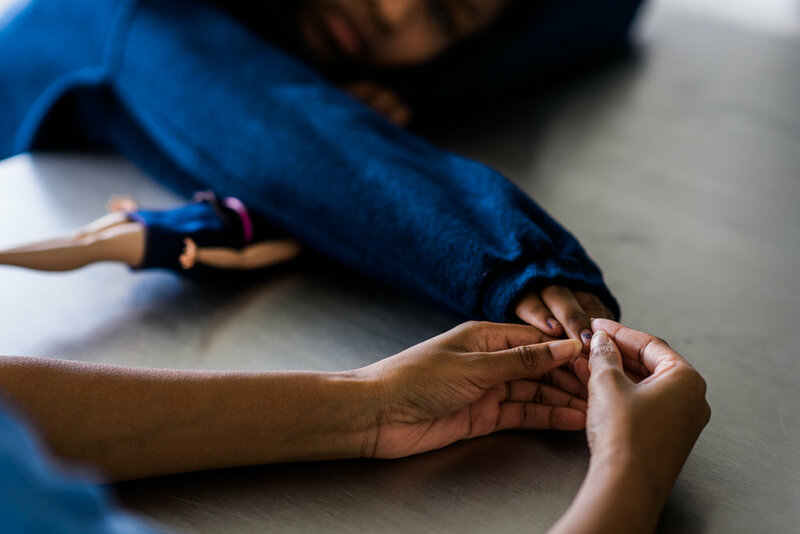 Melody extends her arm to her mother, Tamaya, who caresses her fingers during a visit at the Lowell Correctional Institution in Ocala, Florida. 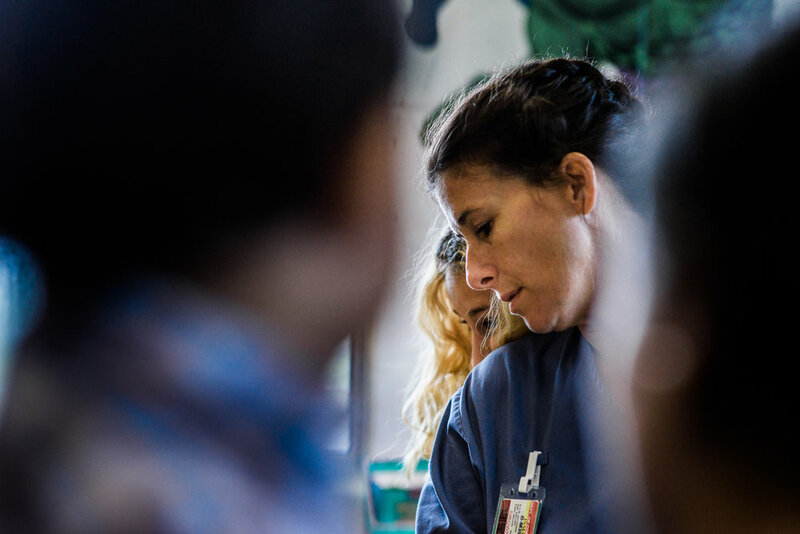 A girl watches a line of incarcerated women walk towards their housing unit at the Hernando Correctional Institution in Brooksville, Florida. Angel, age 5, looks at a toy as correctional officers communicate behind him during a visit with his mother, Mary, at the Hernando Correctional Facility in Brooksville, Florida. 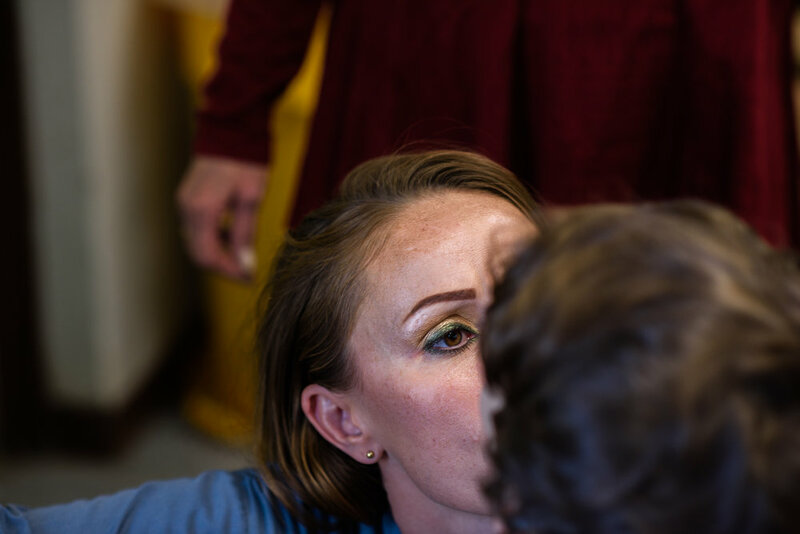 Jennissey puts eye makeup on Tashanika as they wait for their children to arrive at the Women’s Reception Center in Ocala, Florida. A plastic bag carrying diapers and a baby bottle sits on a table in the visitation room at the Okeechobee Correctional Institution in Okeechobee, Florida. Jessie, age 23, holds her son, age 2, during a bonding visit at the Lowell Correctional Institution in Ocala, Florida. Jessie is incarcerated for 4 years for bringing controlled substances to her boyfriend during a prison visit. “Sometimes you just want love. And you’re willing to do whatever you can to get it,” she shares. Cousins horseplay during the screening process before attending a bonding visit at the Homestead Correctional Institution in Florida City, Florida. Rogelio and Sandrika stand with their sons, Rodarion, age 9, Rohandrick, age 6, and Romarion, age 4, for a Christmas picture at the Everglades Reentry Center in Miami, Florida. Angel, age 6, leans on his mom during a parent-child visit at the Hernando Correctional Institution, where Mary is incarcerated. Pies on a table for Thanksgiving visits at the Lowell Correctional Institution for Women in Ocala, Florida. 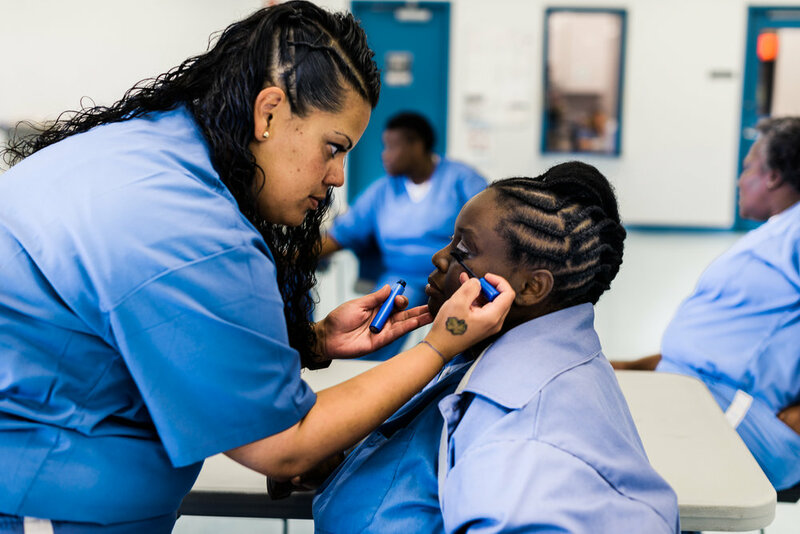 A mother braids her daughter’s hair in the recreation yard at the Lowell Correctional Institution in Ocala, Florida. 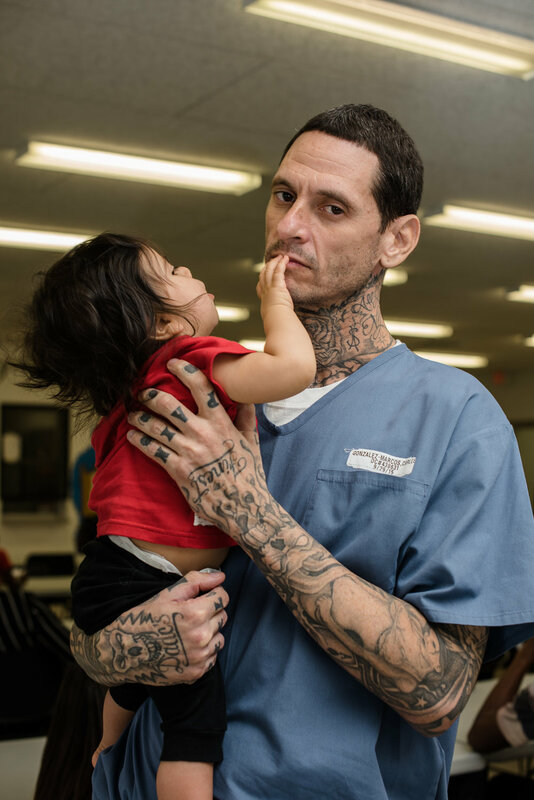 Carlos holds his son, Damian, during a visit at the Everglades Reentry Center; Carlos hopes to become a counselor upon release and work beside his wife who is a drug detox clinician. 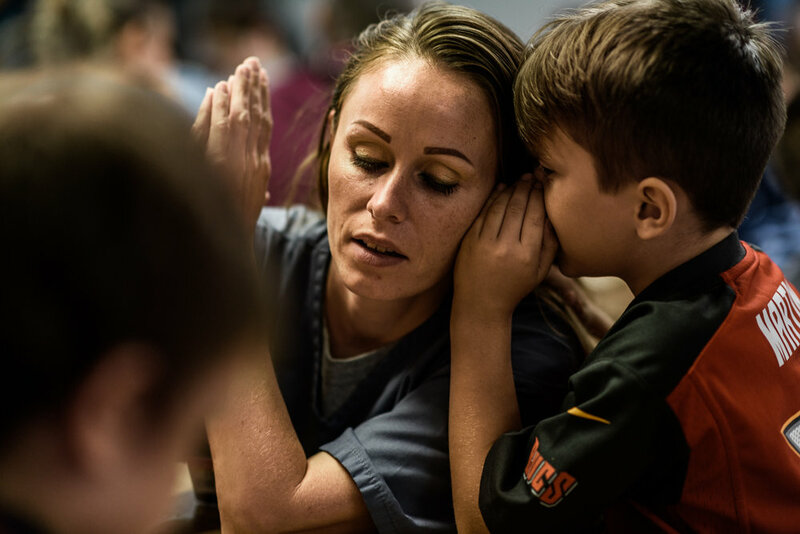 Caleb, age 7, whispers in his mom, Mary’s, ear during a visit at the Hernando Correctional Institution in Ocala, Florida. 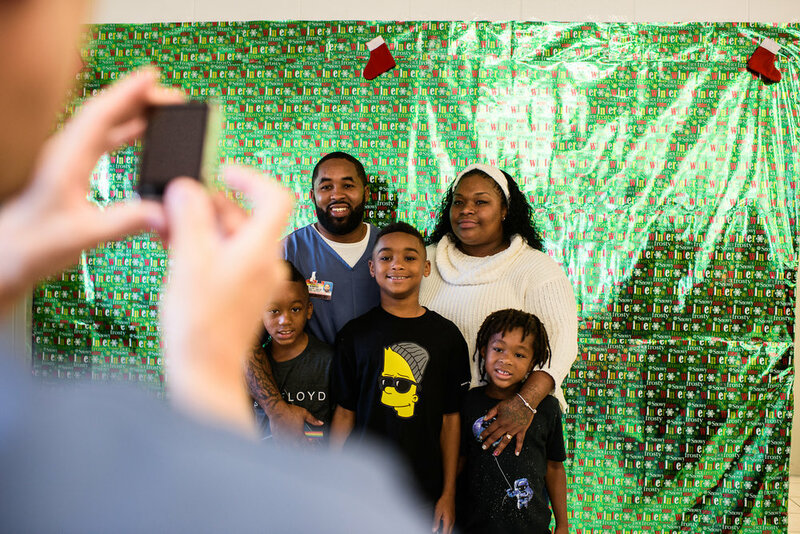 The Smith Family positions themselves for a picture taken by an incarcerated person who acts as a photographer during visits. Rogelio, 46, cradles and tickles his son Rohandrick during a Christmas visit at the Everglades Reentry Center in Miami, Florida. 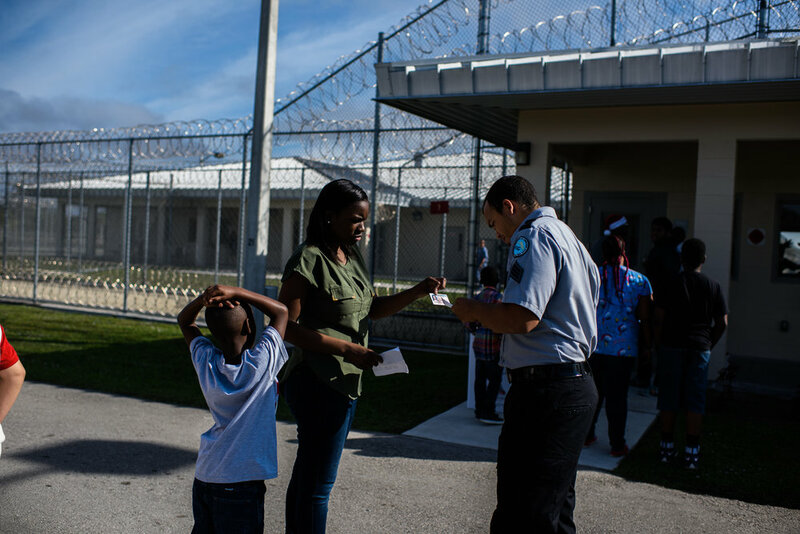 A woman and her son are checked in before a father-child visit at the Everglades Reentry Center in Miami, Florida. A woman’s leg as she sits during a mother-child visit at Homestead Correctional Institution in Florida City, Florida. 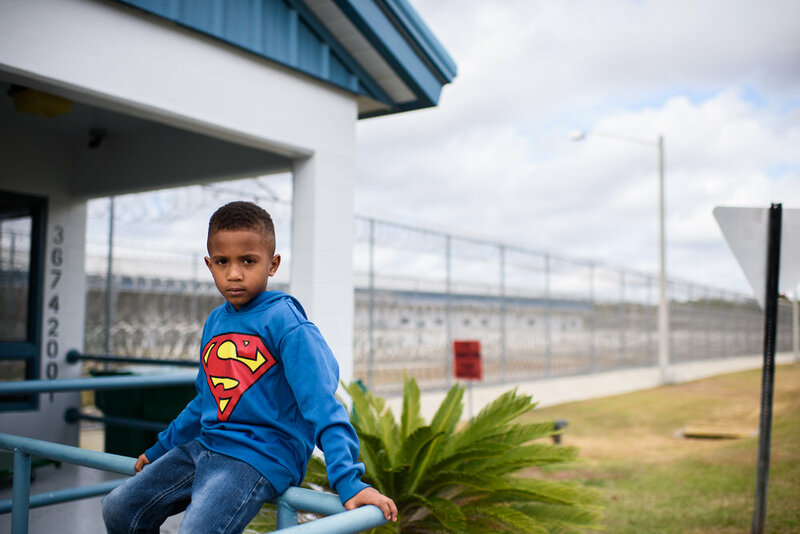 A boy sits outside the entrance of Lowell Correctional Institution in Ocala, Florida before visiting his mom. Angel, age 6, and Caleb, age 8, stand with their mom, Mary, during a visit at the Hernando Correctional Institution in Brooksville, Florida. Jakey, age 2, paces beside tables of mothers and children at the Homestead Correctional Institution in Florida City, Florida. Jessie hugs her son goodbye as her mother stands with her during the end of a visit at the Lowell Correctional Institution in Ocala, Florida. 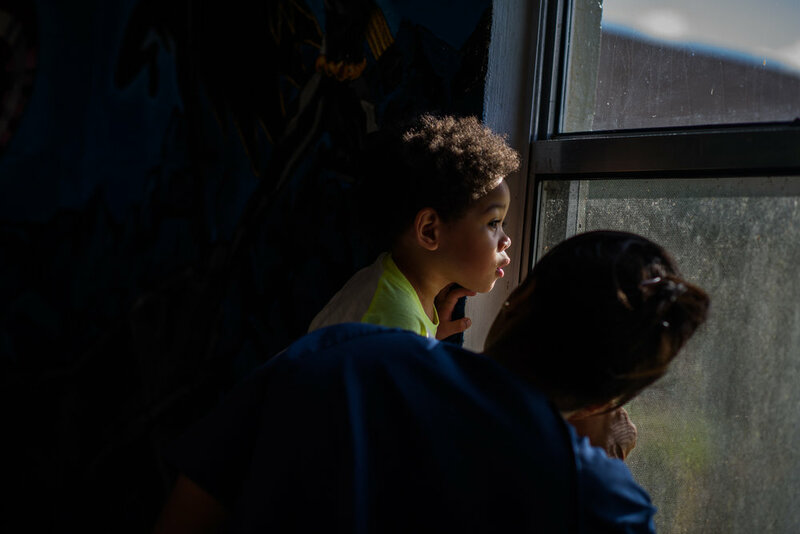 A boy looks out the window with his grandmother at the Homestead Correctional Institution. Mary looks at her son Angel, age 6, as her mother, Mary, who is the children’s guardian, stands behind. 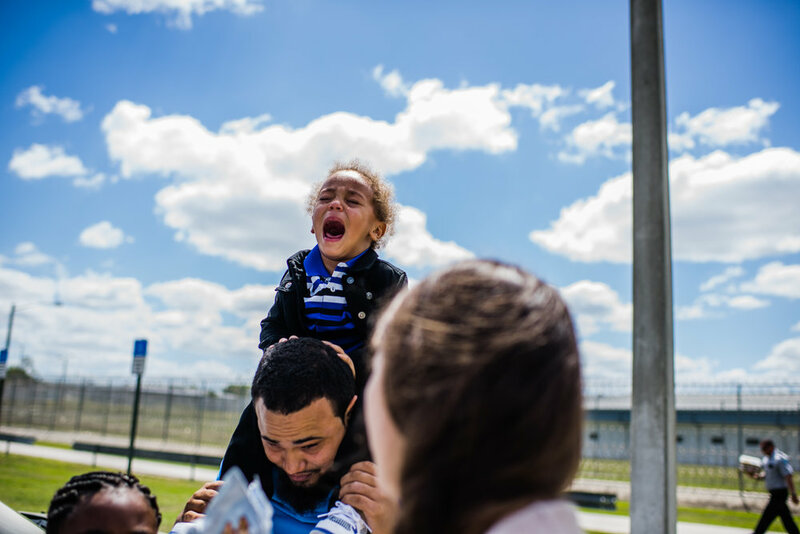 A boy cries while sitting on his father’s shoulders upon exiting the Lowell Correctional Institution in Ocala, Florida, where his mom is incarcerated. A family interacts during a visit at the Okeechobee Work Camp in Okeechobee, Florida. Thomas, age 13, exits the Hernando Correctional Institution in Brooksville, Florida, where his mom, Opal, is incarcerated; Thomas has not seen Opal since she was arrested 4 years prior. Rodarian, age 9, sits on the bus after seeing his father at the Everglades Reentry Center in Miami, Florida.